The FL19 Headlamp combines COAST®'s Wide Angle Flood Beam optic with a dual-color white/red LED beam. 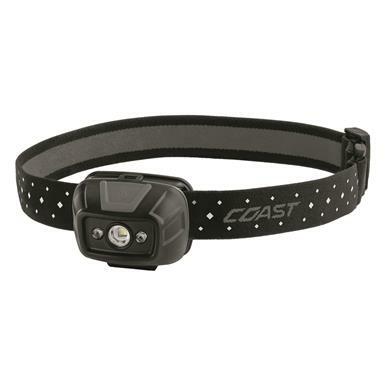 Quickly cycle through the light modes using the top button on the headlamp. The White Wide Angle Flood beam illuminates large areas with an ultra-wide circular beam. Use the Red LED for visibility at night and in low-light conditions. A reflective safety strap and IPX4 weatherproof rating make it perfect for rugged environments. Runtime (high): 3 hrs. 15 min.